I am not a good bedtime Mom. Something about me makes Robbie want to run around like a mad man. He doesn’t like to sit on my lap and read a story or say prayers. He doesn’t want to sing songs or cuddle. No, my child wants to “watch TD Elmo” every night. I have started telling him that Elmo went to bed like a good boy, and he seems to be buying that for the time being. I cannot, however, get him to stop saying “TD”. Since he’s changed the way he meows, though, I’m going to relish his mispronunciations for a while. But back to bedtime. Justin is everything I am not at bedtime. Robbie sits in his lap. They read books (well, usually they just get through one) and sing songs. Of course, they’re usually made up, much to Rob’s delight. And then, although I’m aware that at this point you may think I’m lying, they cuddle. Robbie wraps his arms around Justin’s neck and they rock. The sight of this melts my heart. Not having spent time with my father for the past 17 years, I know how important time with a father can be, and I love that my boys are making memories together. But, it would be a lie if it didn’t make me a little jealous. Sure, when he falls down or gets scared, Robbie wants his mom. But that doesn’t happen every night (at least not if I’m doing my job right). Bedtime does… Instead of focusing on my jealousy, I suppose my energy would be better spent being thrilled that the two most important people in my life love each other so much. Remember the days when your child let you know he was awake by screaming? Or softly babbling in his crib for a few minutes while you listened from the comfort of your bed? The latter was definitely my favorite; I have no idea what he was saying, but he sounded so intent and earnest. And we still get that some times, but not in the past two days. Yesterday, I was almost finished getting dressed when I heard Robbie start to stir. He didn’t even sit up before he started with the “Mama? Mama? (Long pause) Daddy?” And then, still lying down, we heard him whisper, “Hungry. Belly hungry. Mama? Belly.” He truly is my child – thinking about breakfast the minute he wakes up! Our front yard has been a work in progress for the past four years. I’ve heard rumors that it was impeccable for years before people stopped caring for it. Before they moved, our downstairs neighbors and I tried and tried to relandscape, making it at least appear to be presentable. It never really worked for more than a few months. Last year, I decided I’d had enough. Left to my own devices, I dug up all the grass in the front yard and then dug up plants from other people’s yards. Now, I know I’m pushy, but I did actually get permission to take the spider wort, lily of the valley, day lilies, and hostas. It looked pretty pitiful most of the summer, especially as watering cycles got forgotten… In the fall, I planted 24 mums (with the help of a neighbor on the other side of the house, who planted 12 of them). Oh, and 250 bulbs. I spent hours on the yard. And hours. And hours. Over the winter, I wasn’t sure the snow would melt in time for spring. But it did! The crocuses bloomed a few weeks ago. The hostas and day lilies have popped up. 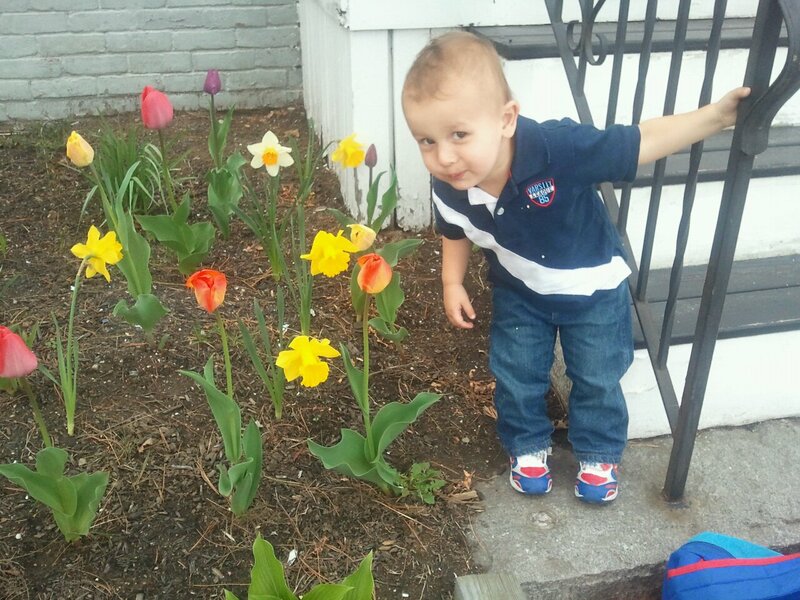 Daffodils and tulips are in full bloom. The spider wort is looking strong along the back – like it might just fill in all the extra space in the back. And today? Today I spotted a lily of the valley poking up through the ground. And the mums? Growing green and looking like they survived the winter. The day the cruise disembarked, we had eight hours between leaving the ship and boarding the plane. The thought of eight hours at the Miami airport with my crazy child was, well, horrifying. So, we booked a Fort Lauderdale shore excursion. Since we missed out on seeing the monkeys and parrots in Honduras, we booked an airboat ride and botanical garden tour. It promised to be more interesting, with a gator show thrown in. 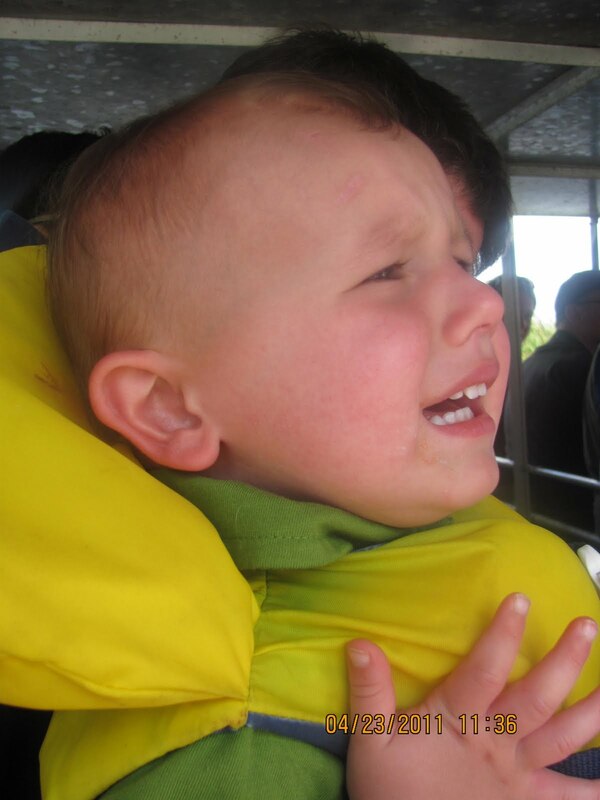 Robbie was not a fan of the airboat ride at first. I had no idea it would be so loud. But it was. About ten times louder than I would have guessed. I looked over, all smiles, to my darling child, whose face was crumpling. I couldn’t even hear his screams above the roaring motor. Eventually, he calmed down and seemed to have a pretty good time. Are you kidding me? Now, let me tell you several things. First, my child was being bad. He was crying and throwing toys. It was, even without being chastised, mortifying. I couldn’t console him. Second, the tour guide didn’t shut up at any point on the tour. We were on a bus for several hours total. I know more than I could ever imagine about alligators and crocodiles. Third, it’s all in the tone. You don’t need to talk to me like I’m twelve. Ever. Or make me feel like I’m a terrible mother. Or assure me that you’re not angry with me. I don’t care if you’re angry with me or not. When I booked the tour, I checked to make sure there were no age restrictions. If you don’t want a kid under three there, then enforce a restriction. Here’s how the converation should have gone: “It seems like your little boy loves to run and move. I know the seats on the bus can get a little tight, but there’s a bigger section in the back of the bus. It might give him a little more room to play, so I thought I’d suggest it to you.” In this scenario, I don’t feel like the world’s worst mom. And I’m not angry to the point of writing the company to complain about the tour guide. 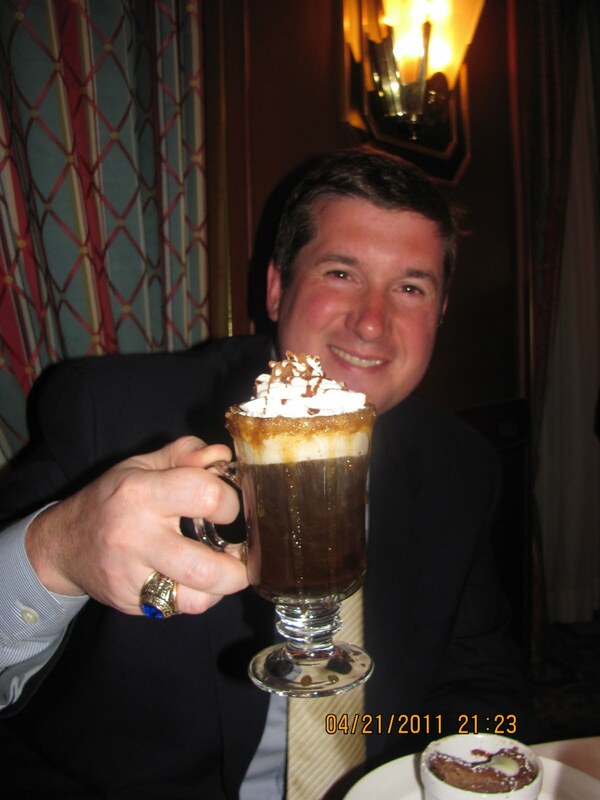 In fact, I might actually write the company to praise the guide for his tact. Don’t get me wrong; I would totally see through this. But it wouldn’t make me feel so horrible that I want to cry – which I did once we got to the airport. 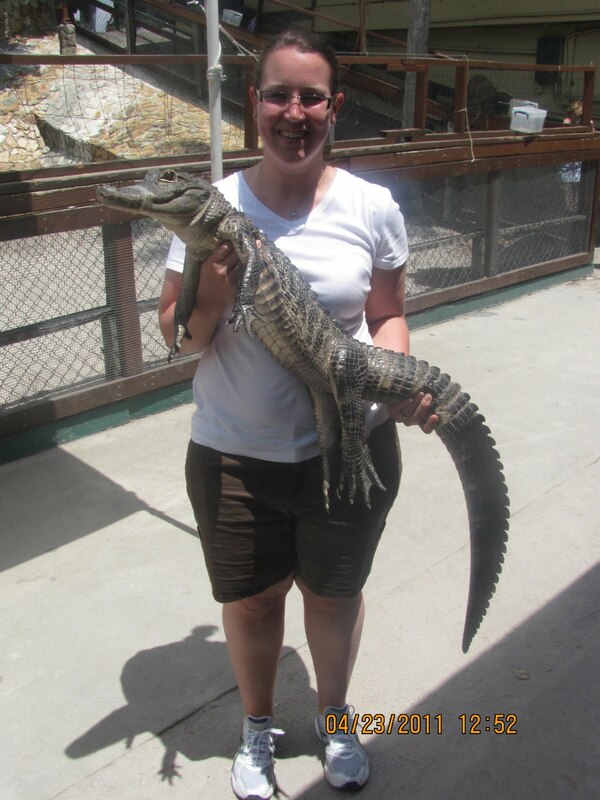 On a brighter note, I did get to hold a baby alligator. 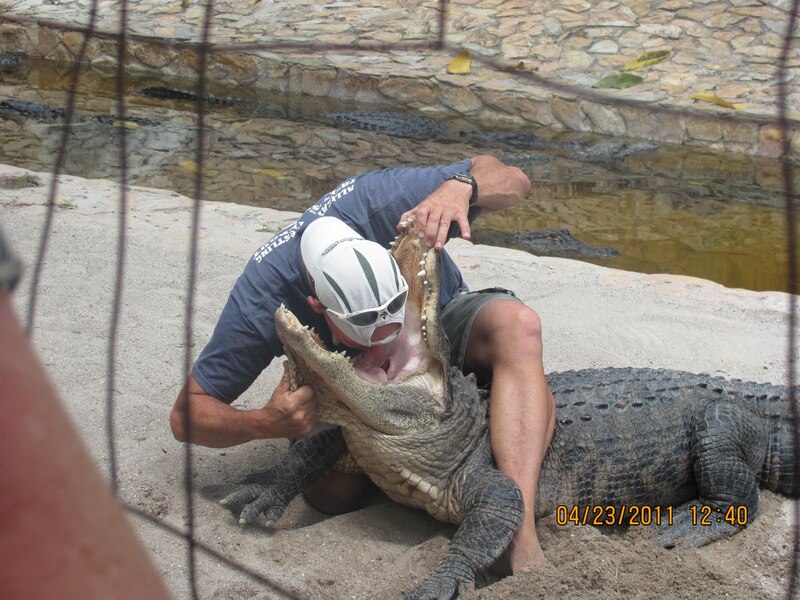 And we saw an alligator wrestler stick his head in an alligator’s mouth. On the boat, we only saw two gators. But it was pretty awesome to skim along the top of the water. It took a lot out of me. More than I thought it would. Or maybe it was just the trip home… I’ll skip all the details. Suffice it to say that our flight that was supposed to land at 11:15 actually got in at 1:30. And then there was luggage to get. And the long drive home from Manchester. We walked through the door at 3:30. But, of course, there were some messes to clean up. And a panicked little boy who didn’t know where he was. I finally hit the pillow at 4:15 this morning. After being up at 4:00 the morning before. It was a long, long 24 hours. Today was supposed to be for recovery. Sleep in. Get Barkley. Have a nice brunch with the family, since we didn’t have any real Easter plans. Do some laundry. You know, enjoy the last day of spring break. Except that’s not what really happened. Justin and I woke up at 10:15 to a little boy asking to watch Elmo. Oh, I didn’t mention that I brought him into bed with us when he started screaming? It’s the only time he’s ever slept with us. I just didn’t have the patience to soothe him to sleep. I rolled over around 7:00 this morning to find Justin essentially sleeping on top of the child. Luckily, everyone survived. After the “early” wake-up call, I showered and went to pick up Barkley from PetSmart. Easy in and out, right? No. They brought him out and asked if I’d noticed he was shaking his head. I believe my exact words were, “Notice? He’s been here for NINE days. When would I have ‘noticed’ that he was shaking his head?” And then I pulled back his ear. Puss. Blood from scratching. All sorts of debris. And I’d smelled something when they brought him out. Fortunately, PetSmart really stepped up to the plate. The covered the $250 vet bill (just the injection was $32!) and reimbursed us for Barkley’s entire stay. I’m still feeling bad about being so angry, but it’s my BarkBark. He gets ear infections fairly often; I just like to catch them before they get this bad. Things did start to look up. We met Micah and Allie for an Easter lunch at Ixtapa – nothing says Easter like some Mexican food. And we hit Bedford Farms for ice cream (back to Jenny Craig tomorrow!). Robbie played and “helped” me clean up the house. 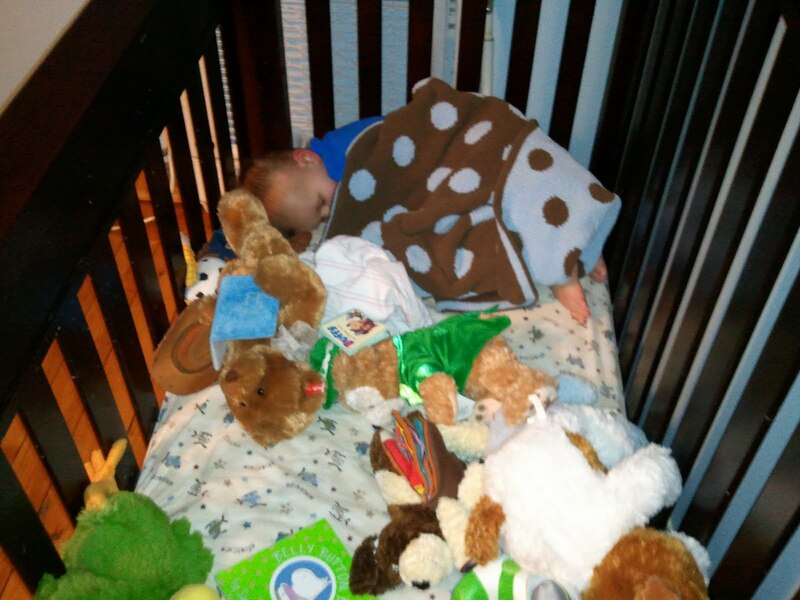 He never did take a nap… But he was asleep at 6:45. I’m hoping this means getting him on schedule will be easier. I put on a loud face at work. My kids are always a little surprised to learn that I’m the nerd they actually thought I might be. I don’t like parties. Or bars. Or anything that requires me to be extroverted when I really don’t have to be. Like jet skis. Nothing about them appeals to me. In fact, I find them to be particularly terrifying. 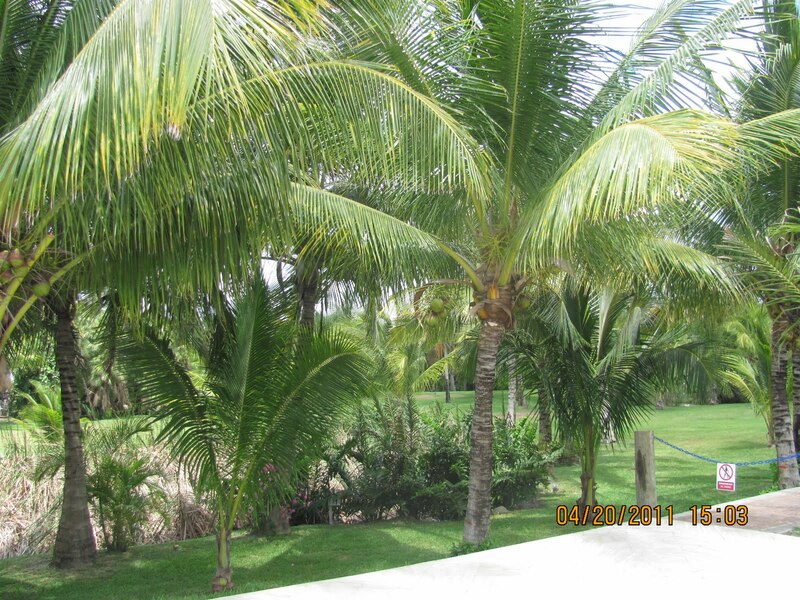 We spent Wednesday in Cozumel and ventured to Paradise Beach. With a name like that, it would either be amazing or the worst beach experience of our lives. Either way, we’d walk away with a great story. Fortunately, Paradise Beach really was a paradise. For $14 worth of wrist bands, we had access to everything. Free chairs and umbrellas. A beautiful pool. The beach. 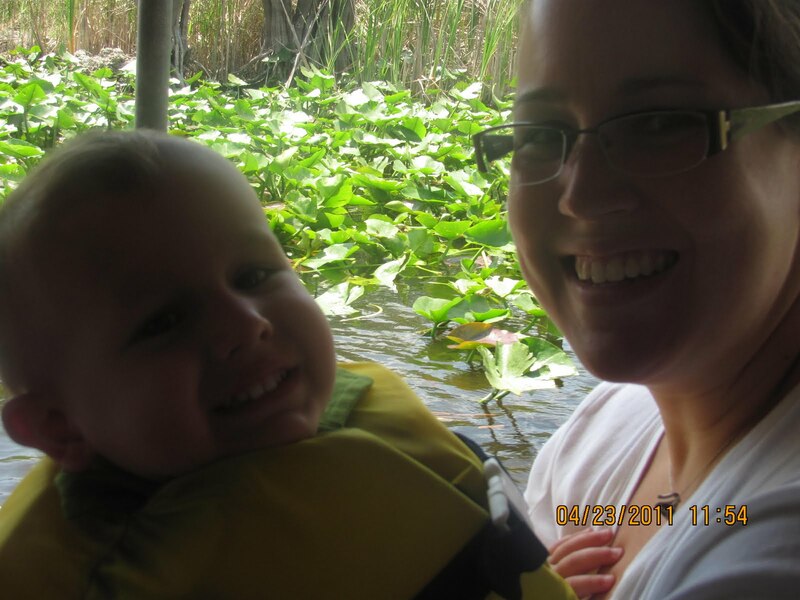 Free snorkel and life jacket rentals – yes, I was the mom with the kid in the life jacket. All the inflatable ocean toys you can imagine – slides, climbing walls, trampolines… It was impressive. And then there were the jet skis… This was our bonding day, since we didn’t get to see the monkeys in Roatan (our trip to that port was cancelled). We decided to spend the money we would have spent on seeing the monkeys and parrots on having an amazing day at the beach together. And, yes, this included a jet ski rental. I could have opted out; everyone would have gotten a little more time to ride. But it was something Justin really wanted to do, and he is always doing things I want to do. Plus, I knew I would kick myself for not taking advantage of actually doing something alone with Justin. 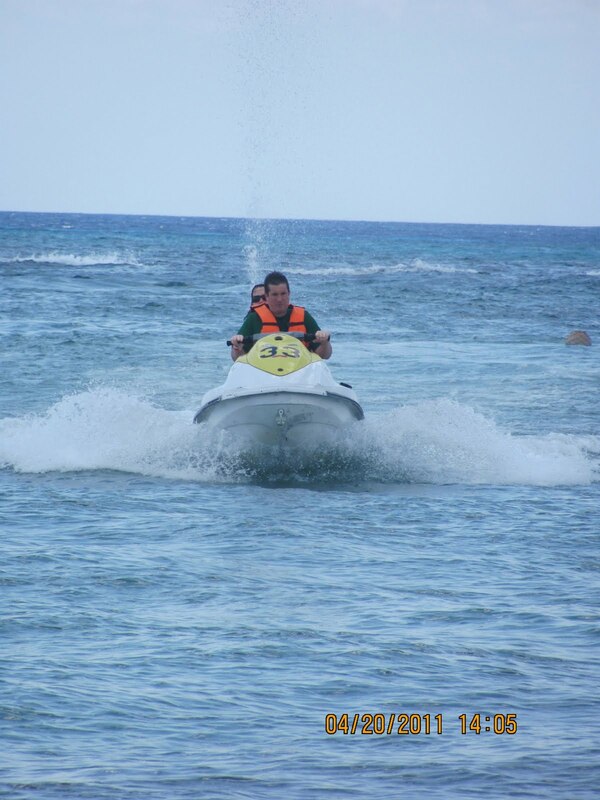 I signed my life away, donned a life jacket, and hopped on behind Justin – ready to face a jet ski on the open sea. I know I’ve never had the perfect child. I had the near-perfect child. It’s not something I talked about in public; I didn’t want to be one of “those” moms. But my kid slept through the night regularly at eight weeks. He love to laugh. He “speaks” two languages — three if you count baby gibberish. However, I’m having a really rough time coming up with a list of great things about traveling on a cruise ship with my child. It’s been rough. Really rough. Justin and I haven’t eaten a meal together, from start to finish, in ten days. And we’ve only been on vacation for six. Every time we eat, Robbie throws things. The first night, he launched his sippy cup across the table – right only my full glass of red wine, which landed in my brother’s lap. And he was wearing his only pair of dress pants. He’s thrown rice, meatballs, blueberries, cheese, fish sticks, onion rings, watermelon, sausage. Everything. And made some interesting combinations of food. 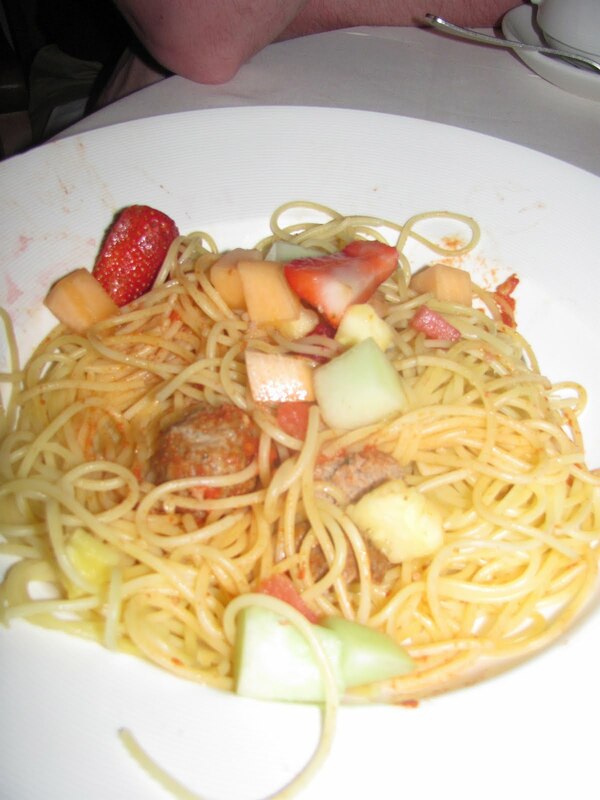 Like spaghetti, meatballs, and fruit salad. Together. Tasty. Justin’s left every dinner to take Robbie back to the room, letting me spend some time with my brother and sister. Last night, however, it was my turn. After four nights of room service, Justin deserved some uninterrupted time with adults. And thank goodness because he won $90 at the roulette table. Definitely worth missing the last of dessert and getting an extra hour to read. Oh, and did I mention that I was asleep by 9:00? Things could have definitely been worse. We did eventually figure how to keep Roberto under control at the dinner table. We kept him in his stroller, where he wasn’t at a good level to lob anything onto the table. Justin made it through two dinners, and the look of surprise on his face when he saw there was actually a dessert menu. And specialty coffee. I also sunk to a level I swore I would never get to. I brought the iPod with Sesame Street on it. And let Robbie watch it while we ate dinner. I know. I know. He needs to learn how to actually eat dinner with adults. But that just wasn’t going to happen. And I really wanted to have dinner with Justin. So, down I sank. And it worked -at least for a little while. But, now that it’s back to reality, Rob’s stuck with crayons and paper. Today was my perfect day. Let’s be honest: how could any day that involves Grand Caymen not be perfect? Justin was up in time to see the sunrise and the ship dock, something he’s always thought would be fun to do but has never actually done. Roberto slept until 8:00 in the morning (actually, 9:00, but we had to put the clocks back an hour). And I got some quiet time to laze around in bed. After surviving a full day at sea, I needed the hour to myself to regroup. I had no idea that chasing after Robbie full time would be so exhausting… Or that tantrums could be so loud. Hilary, Hunter, Justin, Robbie, and I got off the ship around 9:00 and found a bus to take us to Seven-Mile Beach. Other than visiting a cold Gloucester beach last March, Robbie has never really been to the ocean. So, this was quite an experience for him. Robbie ran right to the ocean and sat down to start digging. He filled his bucket. 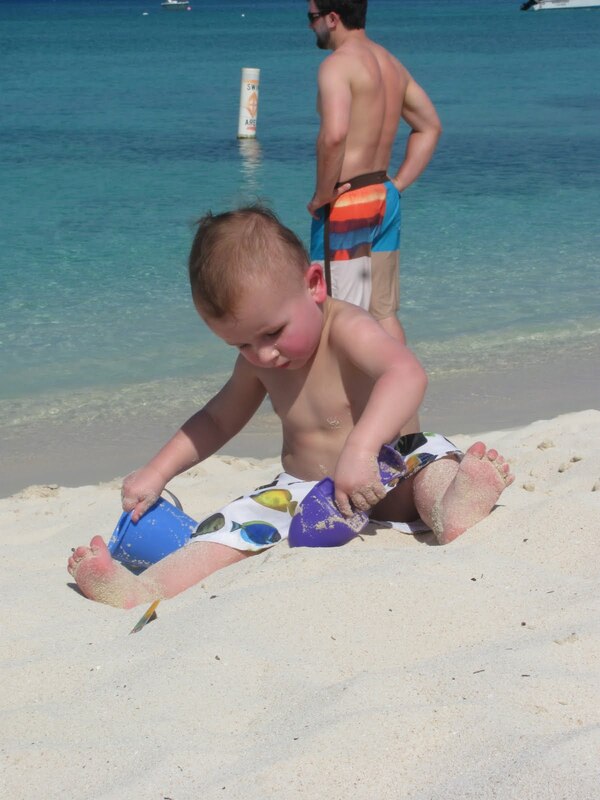 He threw and ate sand. He swam in the ocean for the first time. The swimming freaked him out at first, and he clung to me. Eventually, though, he got a little braver, letting his legs float and kick in the water. Justin and I have been so busy getting through the semester that we haven’t really stopped to enjoy our family. Today was the day for that. We walked the beach. We enjoyed Robbie without any distractions. 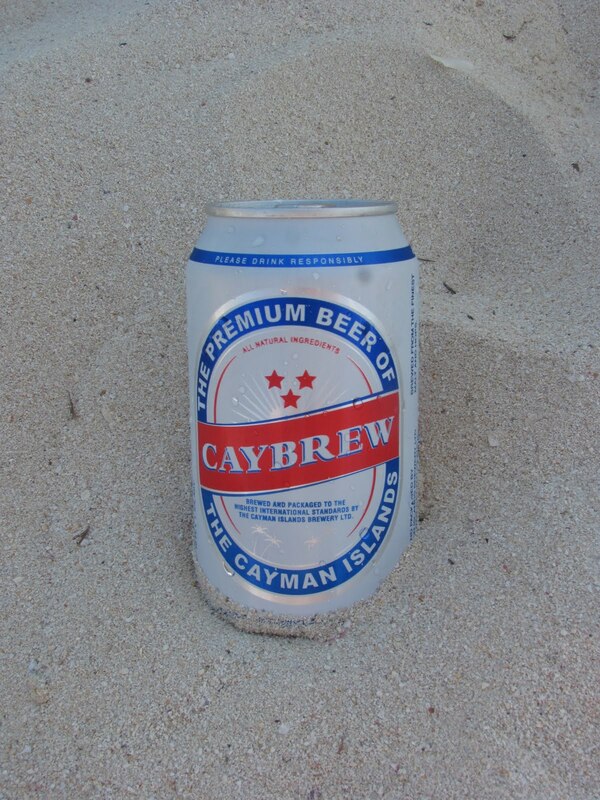 We drank a little Caybrew in the ocean. Really, what can be better than sitting in crystal clear water with the sun on your face and a beer in your hands? Not much, my friend. Not much. And I’m so glad that we were able to slow down to make some family memories. You know you hated having your mother put on your sunscreen. She was never patient enough, always rubbing it in too hard and having some of it ooze into your eyes. She didn’t care that your ears were sunburned already from the last failed application of sunscreen (probably when she had trusted you to do it, which is why she is applying the sunscreen this time). I can remember promising myself that I would always be gentle with my kid when it came to applying sunscreen. I would remember what it was like to try to stand still while my mom scrubbed the lotion into my body with a vigor I’ve never felt anywhere else. That was before I had a toddler who bolts from my reach at the mere site of a bottle of sunscreen. Now, when I can grab him, I rub viciously, trying to get as much lotion to penetrate his skin as I can before he slips out of my grasp again. And he screams, much like I wanted to do through all the sunscreen applications of my adolescence. 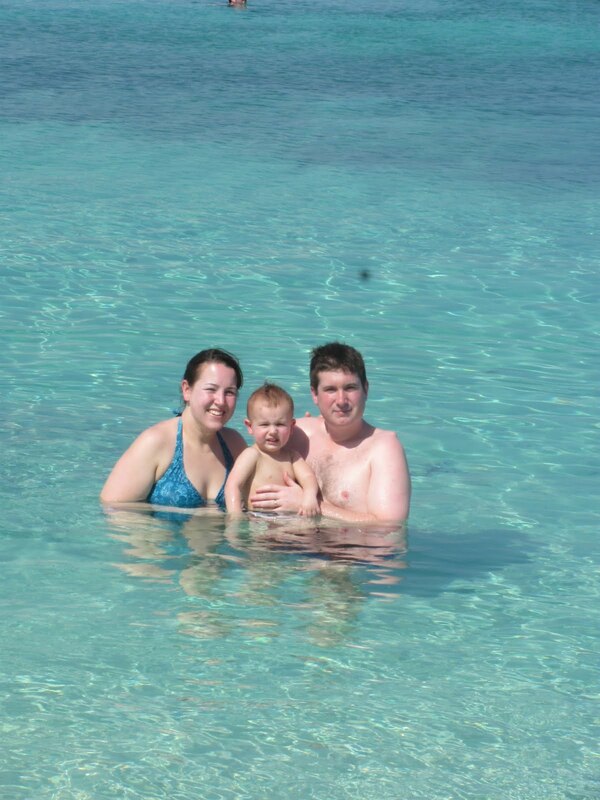 Let’s be honest; as mothers, the more our child wriggles and screams about sunscreen, the harder we try to rub it in. And I’ve noticed that, as the week has gone on, I’ve gotten even less patient about Robbie’s reaction to sunscreen application. He screams the instant he sees the bottle in my hand. I will say, however, that he also screams when he sees Justin putting the lotion on my back. I guess he’s worried that Justin’s hurting me as much as I “hurt” him when rubbing lotion on. This is why I would like to thank the inventor of spray-on sunscreen. Sure, my kid still screams like a maniac when he sees me coming with the sunscreen. And, as my sister says, he sounds like a pterodactyl when I spray him down. But it lasts only a fraction of the time and covers nearly as well. And what’s a few splotchy red marks if my child doesn’t have the horrible memories of being subjected to the thrice-daily sunscreen rubdowns? We made it. Well, almost. We’re actually in the air somewhere between Atlanta and Miami. But I’m confident that within the next hour, we will have made it. Luggage, passports, cruise boarding passes, and all. Not that I didn’t try to leave one of the passports (Robbie’s) at home in the scanner. Or the boarding passes for the cruise on my desk under a pile of papers at school. Of course, it wouldn’t be a Manna event without a fair share of drama. We wouldn’t have it any other way. Our flight from Manchester (just north of Boston and a lot cheaper during spring break) landed in Atlanta on time, but it didn’t reach the gate until 9:20. We didn’t get off the plane until 9:30. Our next flight left at 9:50. This posed a problem. Particularly when traveling with an over-tired toddler who was still wide awake and an exasperated husband who was convinced we would miss the flight. However, since I conjured a lint roller in the middle of the T last week just by thinking about it (yes, I needed one and figured I’d find someone with one – and then ran into a friend in the middle of the T whose friend opened her purse to reveal a lint roller), holding a plane for twenty minutes seemed like child’s play. Well, child’s play if you include fastening a child into a stroller while traveling through the B Concourse at break-neck speed while holding on to headphone plugs that had fallen out of my already overflowing purse as a child-safe activity. I don’t, actually. We jetted (pun intended) past twenty gates, down an escalator (yes, unsafely with the stroller – there was no time for an elevator), on a tram, through crowds of dawdling travelers, up another endless escalator, down a food court, and past nine more gates. Only to find that our flight was delayed. Thank God! We’re now making our final descent into the Miami airport. Robbie is sleeping. Justin has stopped cursing under his breath. And I finally got a few minutes to myself to let you know how great family vacation is once you have a kid to really make it. But I’m not leaving my man-to-man defense for zone anytime soon; the woman behind me nearly had three nervous break-downs in the past ninety minutes with her kids arguing. And that was with the husband taking one of them to another row. Now it’s time for me to return my seat to it’s locked-and-up-right-position (not that I ever move it) and re-attach the trays to the seats in front of me. But, before I sign off… Thank goodness for fabulous people on this flight. We wound up sitting next to teenage boys on both flights and both were such gentlemen about moving to another seat to give us more room. Since I always complain about people on planes, I need to give credit where it’s due. I’ll be blogging on the computer while we’re on vacation, but it probably won’t post until we return. I’m sure you’ll want to clear next Saturday night to get completely updated on all the Manna fun. Until then, happy sailing!